Where there once was only one chiropractor in a city, there now may be dozens. This underlies or even amplifies the importance of a strategic chiropractic marketing. Of course, this is where many in the chiropractors hit a roadblock. You are a skilled trained health professional, but you’re not necessary a chiropractic marketing expert. 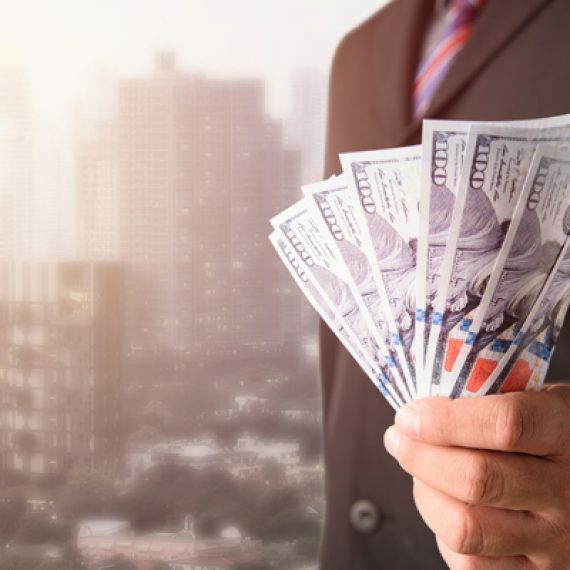 You are probably not sure how to start, what to do or even where to spend your marketing dollars. If this describes you (that is okay, it describes more than 70% of chiropractors), then you should find the following list of chiropractic marketing strategies helpful. First and Foremost, reevaluate where all of your patients are coming from, you will learn that 90% of them probably come within a 5 mile radius of your practice. Focus your marketing to saturate this area. 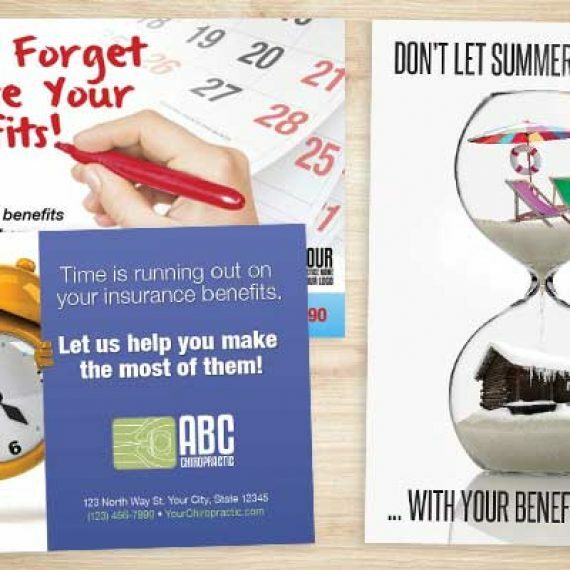 Don’t waste your marketing dollars on areas that aren’t likely to visit your practice. We live in a society of convenience, it is unlikely a patient while drive more than five miles to visit your practice (with the exception of rural areas). 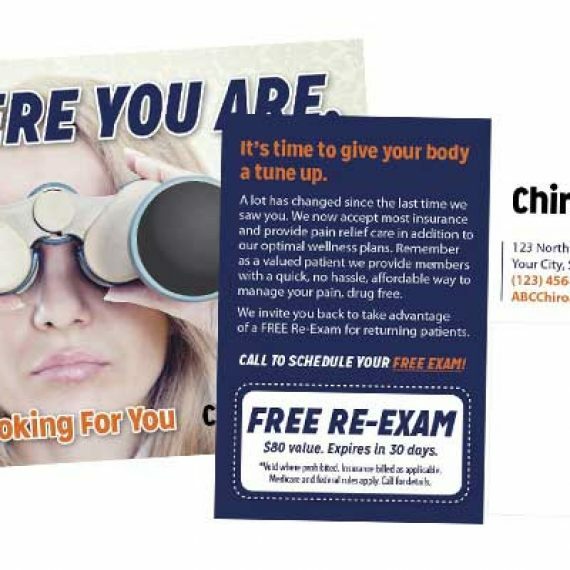 Direct Mail: is still a practical and effective technique for chiropractic marketing because it lets you target select areas in the vicinity of your practice. 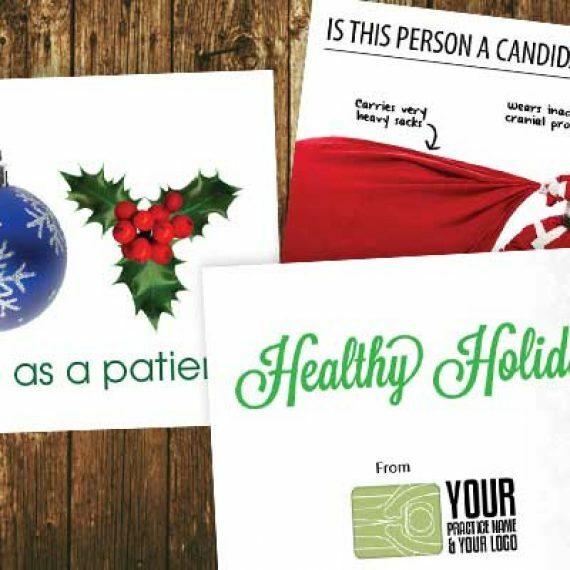 In addition to sending an offer postcard to promote your practice, you can send one to educate prospective patients (chiropractic treatments for allergies as an example). You can even reach people after an auto accident! Referral Programs: are an often underutilized marketing tool for chiropractors. They can be very successful because they capitalize on the trust factor. People will trust the word of a friend or family member more than they will trust an advertisement. By rewarding existing patients for referring new ones, perhaps with a free massage, gift certificate of some kind they will be more apt to refer. Referral programs should certainly be part of your overall marketing program. Press Releases: Do a public relations (PR) component as part of your marketing campaign. If not, consider sending press releases to local media channels whenever you have news to share (new practice in town, new techniques, etc.). Public relations is one of the key ingredients of a well-rounded strategic marketing plan. Blogs and Social Media: To piggyback on that last idea you could also publish your news release online. In addition to updating all of your social media accounts. Keep in touch with your current and past patients. Give your patients the option to sign up for email newsletter, invite them to your Facebook Page, and invite them to follow you on Twitter or any blogs that you post. You can also send out holiday and birthday cards as a way of keeping in touch. Not only will this help you generate referrals, but it will also lead to an increase in repeat visits. Search Engine Optimization! These days, consumers turn to the Internet to find local businesses. Consider hiring a search engine marketing firm to ensure your website ranks well in search engines like Google and Yahoo, for keywords relevant to your practice and location. Facebook Marketing, Google AdWords, and Retargeting: We do a lot of direct marketing to reach people in pain or who need services. Facebook allows us to find specific demographics and target specific people. From modest monthly budgets of only $500/month we generate 30+ solid leads each month. Google allows very similar types of targeting. 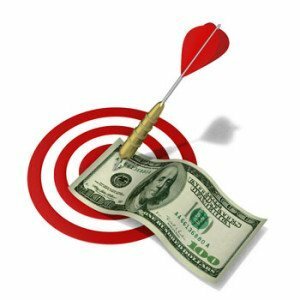 Retargeting is a fabulous tool to reach people after they have visited your site. if you have questions or need help let us know as one of our team members has the highest levels of certifications that only 12 people in the nation have for online marketing. As such, he generates INCREDIBLE results. Videos: Posting fun, humorous or educational videos to Facebook, YouTube or other online sources is a new modern way to have instant fame and almost free marketing. The difficult part is plugging your practice without it being a commercial. Here is where your creativity and imagination can go wild! For other Chiropractic Marketing tips or ideas give us a call at 360-334-6226, online chat, or email [email protected]. 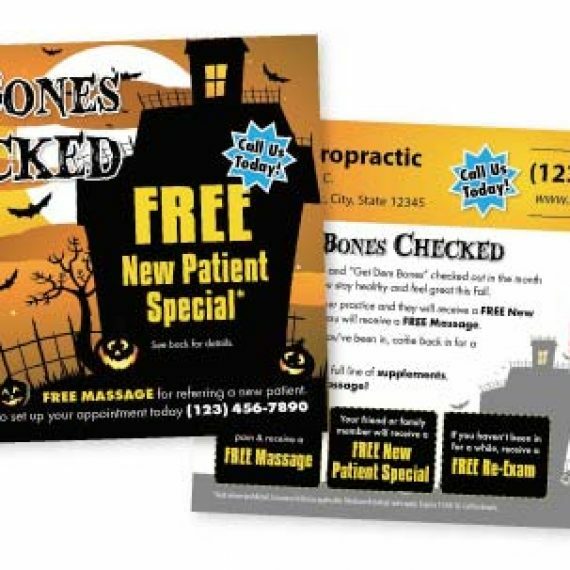 We have solutions for new patients, referrals, reactivation, chiropractic postcards, Personal Injury Marketing, and much more!